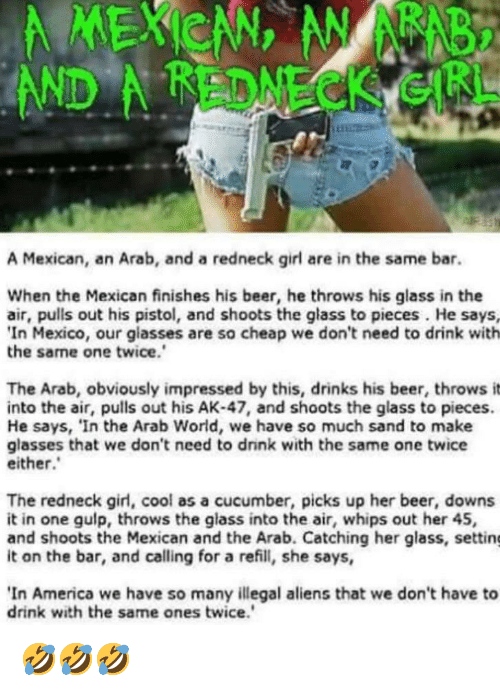 America, Beer, and Redneck: A MEXICN NND A REDNECK GRL A Mexican, an Arab, and a redneck girl are in the same bar. 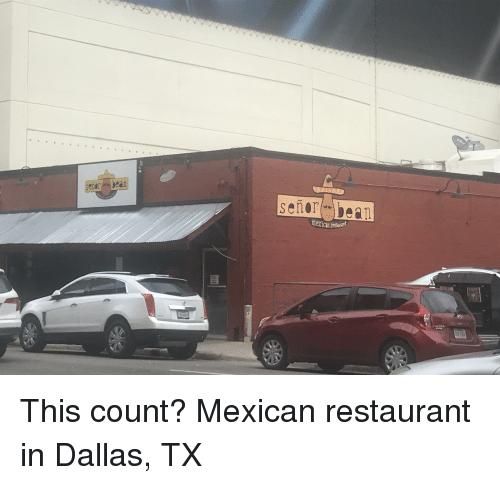 When the Mexican finishes his beer, he throws his glass in the air, pulls out his pistol, and shoots the glass to pieces. He says, In Mexico, our glasses are so cheap we don't need to drink with the same one twice.' The Arab, obviously impressed by this, drinks his beer, throws it into the air, pulls out his AK-47, and shoots the glass to pieces. He says, 'In the Arab World, we have so much sand to make glasses that we don't need to drink with the same one twice either. 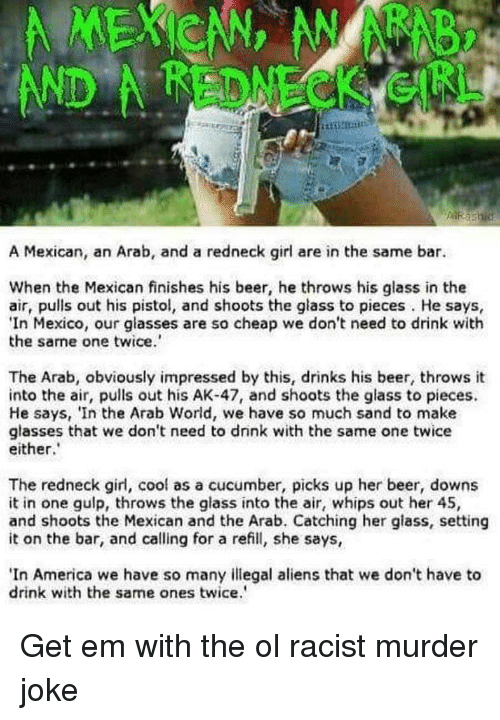 The redneck girl, cool as a cucumber, picks up her beer, downs it in one gulp, throws the glass into the air, whips out her 45, and shoots the Mexican and the Arab. 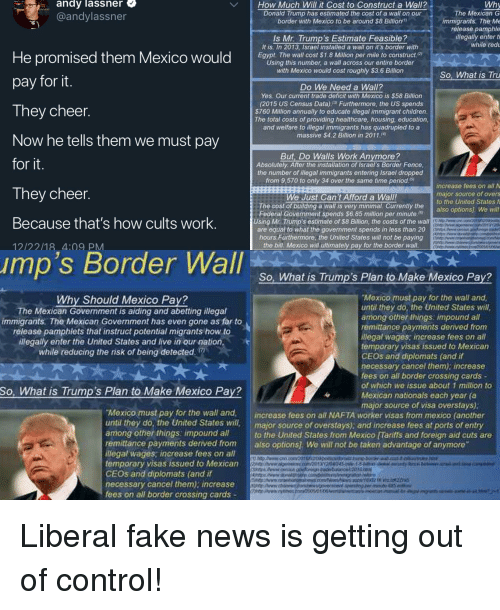 Catching her glass, setting it on the bar, and calling for a refil, she says, In America we have so many illegal aliens that we don't have to drink with the same ones twice.